Following a successful crowdsourcing campaign on Kickstarter last year, the programmable ball built to entice kids into the world of coding is preparing to roll out worldwide. Set for a launch in March, Hackaball has already sold out - however, the firm behind the rough and ready toy have insisted you can grab one of the $85 models by launch day. So how does it all work? 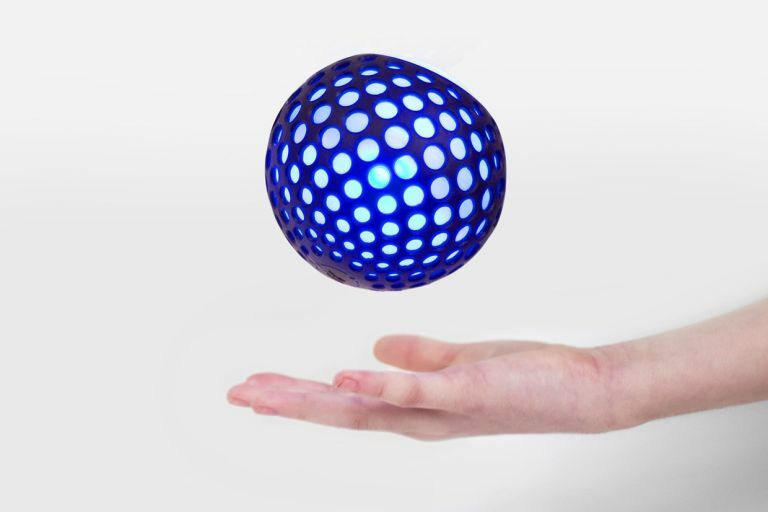 Looking more like a high-end dog toy, Hackaball contains a six-axis motion sensor, some mini speakers and a series of LED lights that can be programmed to change colour and flash depending on a variety of programmable rules. The Hackaball comes with a bespoke Android and iOS app specifically designed to coax young adopters into creating their own behaviours and traits. Considering it's been designed to be thrown around, the Hackaball is made from a sturdy silicone shell with a slightly more pliable silicone netting that fits over the ball adding an extra layer of bounce. Considering its unique rough and ready premise (because if you're going to aim your product at children, making it durable makes a whole lot of sense), Hackaball is easily the most exciting take on programming for kids yet - let's hope that $85 price tag doesn't out off prospective parents/piggy banks. For all the latest news, updates and hands-on previews from CES 2016, T3 has you covered.